Qualified electricians will be helpful to your small business in several ways as long as electrical issues are concerned. 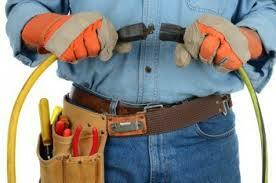 You could need an electrician for rewiring jobs, electrical installations, and repairs, amongst others. But how do you go about finding qualified electricians for your small business? Here are some helpful ideas in that regard. The first thing you want to do before heading out to find a qualified electrician for your small business will determine the real need for one. You need to have relevant information on the tasks you wish to have carried out. For example, if you want a repair work done, you can try to find out the possible source of the problem. If you are knowledgeable enough to do that., you can save yourself some money by providing information that will enable your contractor work faster, especially when you are paying on an hourly basis. It is important to be certain that your potential electrical contractor and their employees are adequately trained and have licenses required to practice. Before anyone can become a qualified and licensed electrician, he must have logged several thousands of hours honing his skills and taking diverse tasking tests. In addition, it is advisable to ensure that the electricians you will be working with are compliant with relevant rules and regulations in your locality. It is equally essential to ensure the electrical contractor you plan to work with has a good reputation. You can look around for reviews from people who have worked with the electrician in the past. You can even ask the contractors themselves to provide references. You could also ask your friends and relatives for recommendations. You should take steps to ensure that you are protected against damage and losses during the course of an electrician’s job. To this end, it is advisable to verify the electrical contractors carry adequate insurance to safeguard your small business against risks. You will need to ask electricians working for you for copies of their insurance certificates to be sure. You can never rule out the possibility of work not being done to specification. It is therefore recommended that you have contractors give a guarantee that work will be done as required and state what they will do if that was not the case. You should ensure that warranties are put down in writing.